Make your branding shine and completely reflect who you are when you hand over a Metallic Ink business card from Silkcards. 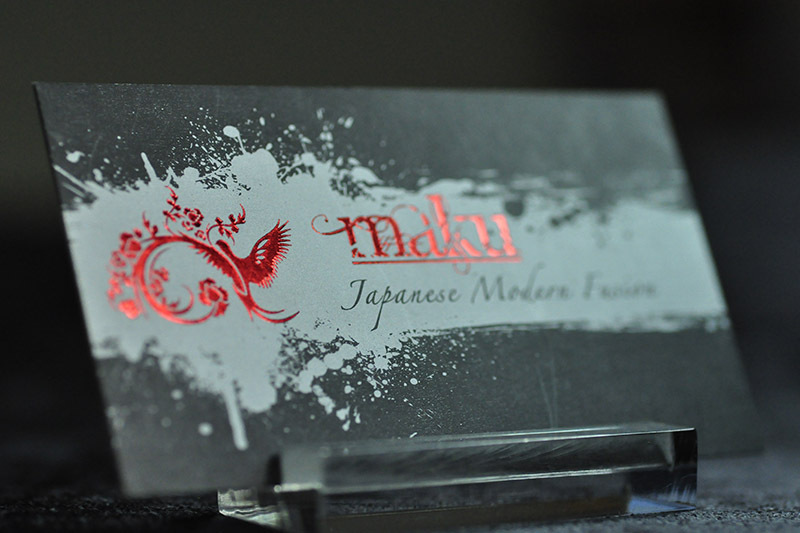 As an alternative to foil stamping, metallic inks contain small particles of metal. As the ink dries, the metal particles rise to the surface and reflect light and give your graphics a distinctive sheen. Metallic Ink Silkcards* uses Pantone inks in either PMS877 (silver) or PMS 872 (gold) to make your card sizzle with personality. All cards are full color and full bleed and are silk laminated on both sides for a smooth finish. These durable cards are water- and tear-resistant. Add another layer of dramatic flair to your cards by adding optional features to your cards such as: embossing or debossing, rounded corners, Spot UV, perforations or custom die-cutting. Whichever route you choose to go, a Metallic Ink business card will help to identify and differentiate yourself from your competition. * 1 Metallic Ink color (1 side) is included. * We used PMS 877 Silver and PMS 872 Gold as the specs for the ink. We require an 1/8" bleed. Files need to be a minimum resolution of 300dpi. *Stated production time is just an estimate. Additional Add On's added to product may extend this time. CMYK 4-color process print at 200 LSI. DGi has been providing superior quality Silkcards, plastic card products and promotional marketing material to our customers for over 18 years. We are dedicated and driven to be the best in the business. Copyright 2015 Silkcards - All rights reserved.